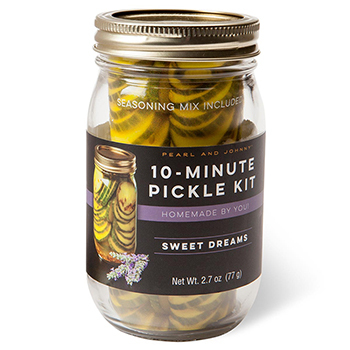 Enjoy homemade pickles in 10 minutes! 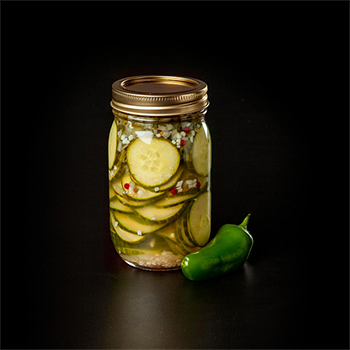 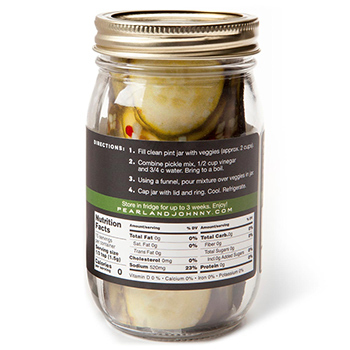 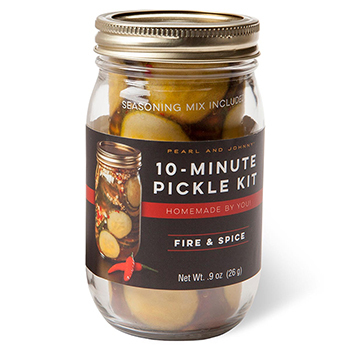 The Jalapeno & Horseradish pickle kit makes a delicious pickle with a kick! 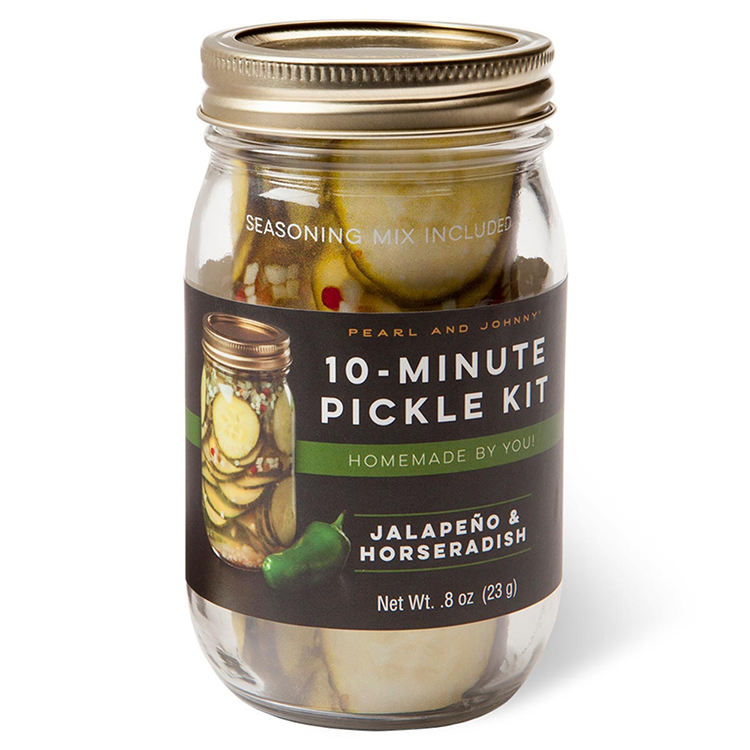 Ingredients: Salt, Garlic, Jalapeno Peppers, Onion, Horseradish Powder, Pink Peppercorns.